A week ago today, it became clear that Narendra Modi would head a government of the right-wing Hindu nationalist BJP. It gained the largest number of seats of any party, though, for all the hype, received only 31% of the popular vote and remains in a weak position in the upper house where the BJP and its allies have 63 of the 250 seats. The landslide victory of the Hindu communalist, Narendra Modi-led Bharatiya Janatha Party (BJP), in the recent five week long Indian election, signifies a right-wing upsurge in India’s political system and a decisive shift in the balance of forces. Although the victory of Modi was not surprising, the BJP’s thumping majority has upset all calculations. The BJP’s vote share went up by 12%, achieving 31.8% nationally. The BJP’s comfortable majority of 282 seats in addition to the 54 seats won by its allies in the National Democratic Alliance (NDA), heralds an unmistakable right turn, which has been gleefully welcomed by big business, the mass media and corporations, nationally and internationally. So unpopular was the Indian National Congress-led United Progressive Alliance government and so terrible its record of governance, the party justifiably suffered the worst defeat in its 129-year history. It lost 162 seats, and did not even manage to touch double digits in any state. Many of its veterans could not manage to win their long held constituencies which were traditionally considered as Congress party strongholds. In ten states; Himachal Pradesh, Uttarakhand, Gujarat, Delhi, Rajasthan, Tamil Nadu, Goa, Odisha, Jammu and Kashmir, and Jharkand,it drew an absolute blank. More significant is the fact that its vote share went down to a pathetic 19.8% nationally. In Delhi, the Congress was completely routed. All its seven sitting MPs from the state, three of whom were cabinet ministers, lost to the BJP. The party got fewer votes even than the Aam Aadmi Party (AAP – Common Man Party), which came second in all the seven seats. 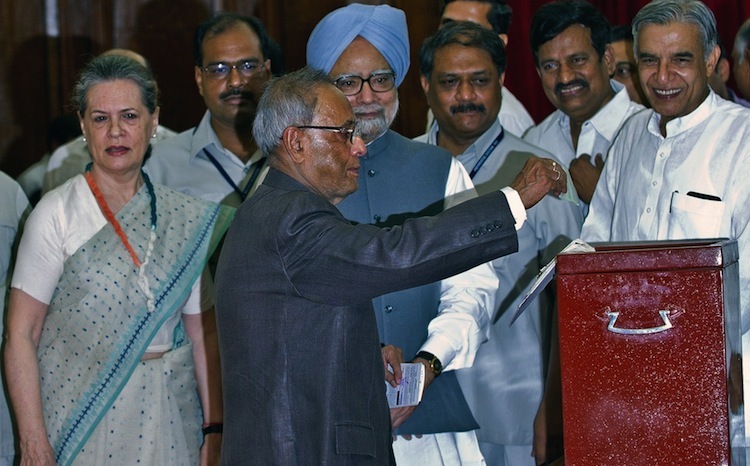 While it can be argued that the parliamentary left represented by the CPI(M), CPI, RSP and Forward Block that formed the ’Left Front’, hardly had any legislative presence outside the three states of West Bengal, Kerala and Tripura, the near decimation of the CPI(M) in West Bengal in this election speaks volumes of the declining influence of these parties, that neither challenged the neo-liberal capitalism of Congress or the right-wing communalism of the BJP. Their grossly mistaken strategy of building the the so-called ’Secular Democratic Front’ against Congress an the BJP has fallen flat on its face. Their ’strategic’ allies are all feudal, petty bourgeois parties who are in varying degrees intrinsically following Congress’s capitalism and BJP’s communal policies to their advantage. None of these ’friends’ of the CPI(M)-led left came to the rescue to go along with the chimera of the idea of a ’Third Front’. In fact Jayalalitha of AIADMK and Naveen Patnaik of BJD were the most brutal in ditching these “Marxist” high priests who were offering them leadership of the government in the event of a “Secular, Democratic and Third Front’s” victory. The very signature tune of the CPI(M) itself that there is no alternative to capitalism led its regime to the grotesque situation of shooting down the peasants who brought them to power in West Bengal during the infamous Singur-Nandigram struggle against land acquisition of 2007-2008. These Stalinist parties in their enthusiasm to serve capitalism better than capitalists themselves have now been reduced to now just eleven members in the parliament. While the CPI could not even open its account in West Bengal with a mere 2.3% of votes, RSP and Forward Block also have drawn a blank with a token 0.8% & 0.3% of votes. The CPI(M) is on the verge of losing its National Party status as its vote share is reduced to a dismal 3.2% nationally. The BJP’s tally of two seats equaling that of the CPI(M) is a telling comment on the plight of the Left parties in West Bengal. While CPI(M) could only manage to retain 22.8% of votes losing 10.3% vote share compared to 2009. But it is the BJP’s impressive 17% vote share in West Bengal that signals the rightward shift of even West Bengal which was hitherto considered as the bastion of the Left. The BJP in these elections has primarily reaped electoral profit at the cost of the CPI(M) and not the Trinamool Congress. 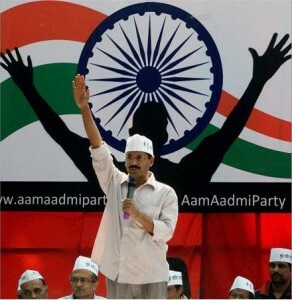 Aam Admi Party or Common Man Party is a left-populist anti-corruption party launched in 2012. It raised a lot of heat and dust in the run-up to this general election, and its election result was a mixed bag. In its first national elections the AAP won four MPs, all from the state of Punjab, with an impressive 24.5% vote, bagging a spectacular 337,300 votes. It enhanced its percentage share in Delhi to 32.9% by getting 272,220 votes (up from 28.2% in the December 2013 assembly elections) though it did not pick up a seat. The party got over 11,000,000 votes polled in its favor across the country – a vote share of 2.2%. The disappointing factor of AAP’s results were the failure of single one of the contestants from People’s Struggle background from across the country to gain any significant votes. Mass leaders such as S P Udayakumar (15,314 Votes), Pushparayan (26,476 Votes), Medha Patkar (76,451 Votes), Dayamani Barla (11,822 Votes) etc, who have led determined struggles on issues such as Nuclear Plants, Adivasi Rights, anti-capitalism, anti-globalization, and who have categorically identified with the struggles of the landless, poor, Dalits and Slum Dwellers and who have long held the view that it is futile to go parliamentary way, threw their lot in with the formation of AAP. Modi cheerleaders and bourgeois economists are touting the verdict as the vote from the ’aspirational growth generation’ who are the direct beneficiaries of neo-liberal reforms in the last two decades. They are interpreting this vote for Modi as the vote for decisive and more aggressive economic reforms. Another aspect of their slant is that the clear majority for Modi’s BJP marks the end of fractious mandates for the coalitions of the last three decades. It is true that BJP’s pre-poll allies have pulled in enough numbers for the BJP -led National Democratic Alliance to occupy six out of every ten seats in the Lok Sabha parliament – a ‘super majority’ as some have called it, even though less than one-third of voters backed the BJP, and not more than 40% have voted for the NDA. This is the first time since 1952 that the religious minorities have not counted in determining who rules in New Delhi. And, coupled with the fact of the near-decimation suffered by the Left Front, the BSP and the SP, it is easy to conclude that, for now, oppositional voices have lost out. The irony of the ’mature and world’s largest democracy’ is that there is no official opposition in the Indian parliament. None of the parties, including the outgoing Congress, have crossed the 10% of seats mark to qualify as being a recognized opposition party. The Modi wave did sweep through Uttar Pradesh (India’s most populous state), where it also managed to draw away a significant number of voters from the Samajawadi Party, Bahujan Samaj Party, and of course in Bihar too. 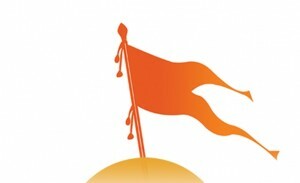 More than anywhere else it was in Uttar Pradesh and in the rest of the north Indian belt where there was no holds barred approach by the fascist Rashtriya Swayamsevak Sangh (RSS). 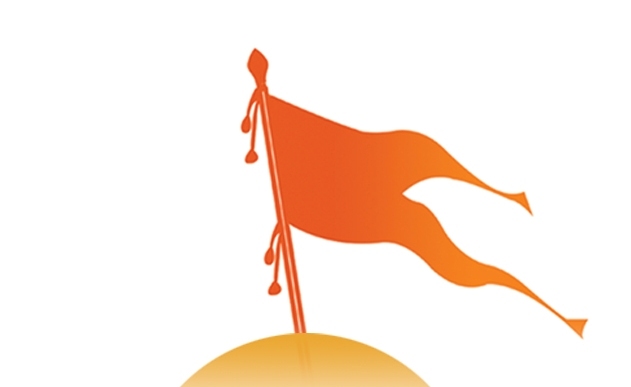 This election was the first time the RSS had come out of its self-imposed burqa/purdah of being just a “cultural” organisation and had pitched in wholeheartedly for a Modi victory, its erstwhile Pracharak (full-time campaigner). The proof of this war-like campaign can be seen in the figures of near absence of Muslim parliamentarians in the 16th Lok Sabha (parliament). For a population of 138 million Muslims, the new Lok Sabha will have the fewest Muslim parliamentarians since 1952, with just 21 of them emerging victorious in the polls. The BJP itself does not have a single MP from the minority community. There can be no denying that Modi’s victory is based on an unadulterated communally polarized vote. There is no secret that the minorities, especially the Muslims, were deeply apprehensive of a Modi victory and did everything possible to defeat the BJP. 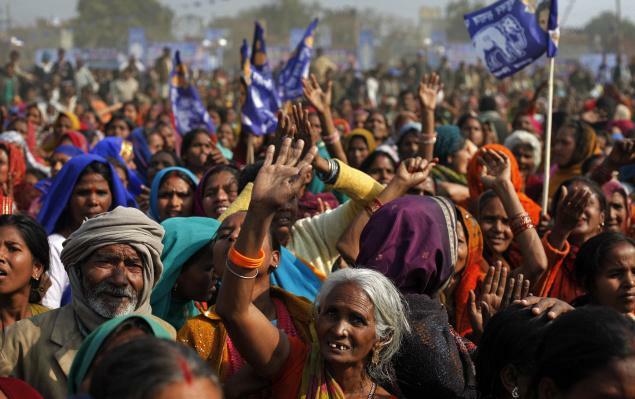 Where Did the Dalit Vote Go? Alongside the religious polarization, it appears to be a rewrite of caste equations, empirically it can be argued that the Dalits (so-called ’untouchables’ who comprise 16% of the population) abandoned Mayawati Kumari and her Bahujan Samaj Party, which failed to open its account. 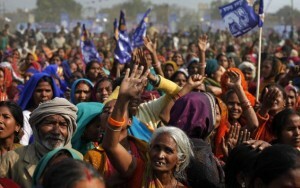 Aware that Dalits were being poached by BJP’s prime ministerial candidate Narendra Modi, Mayawathi was jittery after the fourth phase of voting when her feedback showed that Dalits were flocking to Modi. 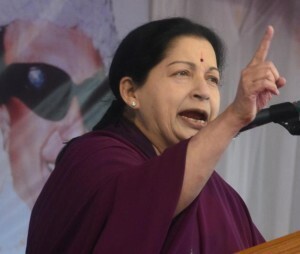 Her second major constituency, Muslims, also failed to come to her rescue. BSP’s vote share in Uttar Pradesh went down to 19.6% from its 27.4% in 2009. Hoping against hope, many in ’progressive circles’ expected a repeat of the 2004 results where especially the Dalits and Muslims en-bloc voted against the BJP. With a combination of factors, especially with the caste and communal polarization to the advantage of the BJP, the psyche of Muslims, Dalits, Adivasis and the urban poor was in a state of flux and was surely affected by the big business media blitz which sold Modi as a messiah for all the ills in society. Modi and the BJP have for the time being not harped on the divisive issues directly as such, but have only tom-tommed “DEVELOPMENT”, albeit the Gujarat Model, which is highly questionable. Congress rule was once the darling of the corporations, but could go thus far and no further in relation to pro-business economic reforms. Congress, though fast eroding, its traditional social base of farmers, marginal peasants, the poor and the religious minorities, although it was the chosen party of the big bourgeoisie historically, so far it has not been able to play a Thatcherite role of pushing through the reforms demanded by Indian and international capitalism. The BJP and Modi being traditionally seen as the traders’ party have always advocated a rightist line against a Nehruvian ’mixed economy’ model. Combined with the belligerence of its unabashed Hindu supremacist ideology it has now endeared itself to the growing affluent middle classes and of course the Indian corporations. Presently stagnating with a mere 4.5% GDP growth, with a huge fiscal deficit in the Indian economy, Modi’s magic wand rhetoric of ’Growth and Development’ has undoubtedly put his sectarian past on the back burner. Both the national and international bourgeois have welcomed his victory enthusiastically. 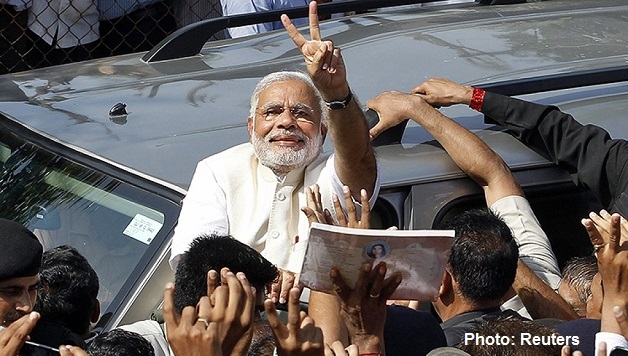 The stock markets in India rose sharply on the day of Modi’s the spectacular victory. The benchmark Sensex jumped at the opening of trading on 16 May, climbing more than 4.5% to a one-day record and breaching the symbolic 25,000 level, the strongest opening for the Indian markets in five years. Strategically, Modi has soft-pedaled his Hindu chauvinism for now. Whether this style will continue to prevail will largely depend on how his government will succeed in delivering economic growth. If he can quickly achieve positive results on the economic front and revive growth and create jobs, and can thus remain popular then the development plank will be sufficient for him. Fortunately for him the indications of a partial recovery of the world economy may give him some breathing space. If, however, he is not successful on the economic front, there will be strong criticism not just among the liberals but in his own camp. He may then resort to the Hindutva chauvinist strategy. There is absolutely no doubt that the victory of Modi and the BJP is a decisive rightward shift, the first of its kind in the Indian political scene. Whatever development and growth hype the bombarding media wants the people to believe, it doesn’t alter the fact that the overwhelming majority of the 1.25 billion population of India still lives on R20 a day (1/3 of a $). That’s where the seething anger will erupt in the weeks and months ahead. Yes, the communal and caste polarization in society does pose a serious challenge to working people’s unity in their fight against neo-liberal policies which will be aggressively pursued by this administration. But mere liberal platitudes and window dressing about secularism and communal harmony will not instill confidence in the poor and down trodden when their lives and livelihoods are attacked in the name of development or under the bogey of fighting terror. Socialists, Marxists and genuine class fighters will have to forge alliances based on the working class, down-trodden castes, urban and rural poor, oppressed women, student youth, peasants, fisher people, tribal communities and minorities. Such an alliance should not only take up the struggles of the unemployed, under-employed and low paid youth for better wages and conditions, but put forward a program of defense committees to defend the various communities which will come under attack. Marxists and socialists under the organisational banner of New Socialist Alternative (CWI-India), through its Living Wage campaign, Tamil Solidarity, and Campaign to Reclaim Democracy, will be fighting to build a class alternative to the pro-rich political parties that dominate this vast country of India.